Dannielle has extensive experience in the Health Care Industry working as a Critical Care Registered Nurse. She encompasses the philosophy of natural child birth with minimal intervention where possible. Her intention is to prepare expectant mothers and their birth partners for the birthing process. Empowering them to create a unique individual experience free from unnecessary fear and anxiety. Giving expectant mothers the confidence to trust in themselves and the birthing process. 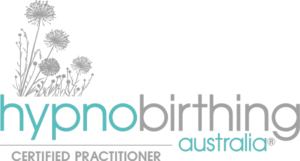 The Hypnobirthing Australia Program™ facilitates the transition from pregnancy to parenthood creating positive, loving and joyous memories for everyone involved. Prana refers to one’s vital energy or life force: An energy or life force present in all living and non-living beings. Prana is a Sanskrit word when translated literally means the ‘breath’. Our life force or one’s vital energy enters our body through our ‘breath’, permeating every cell in our body, connecting us to all aspects of our lives. The quality of our ‘breath’ directly relates to our vital energy, our life force, our strength and affects our nervous system. Regulating the ‘breath’ can control and quieten the mind. 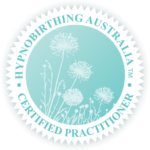 In Hypnobirthing we uses the power of the ‘breath’ to achieve a calm positive birth experience. In yoga our ‘breath’ moves us from one yoga pose or asana to another bringing us back to the present moment and into our yoga practice. This life force or vital energy when activated through the ‘breath’ allows us to move beyond our normal boundaries or self -imposed limitations.